"I have a great passion for the desert". In the last few years I organized deserttours with tuaregs for small groups. My paintings are inspired by the Tuareg nomads and the prehistoric rock paintings in the desert. Paintings: mixed media Ineke Hemminga I got interested in nomadic life-style, because of the simple life-style of these nomads, using the stars as their compass. They just stay temporary at one place, grazing their animals. Then they leave in time so nature has time to recover. To acknowledge the culture of the nomads can be an enrichment of our own culture. I always wanted to know how it is possible to live in a desert. My image of an extended empty plain of sand, seemed totally wrong. There are many variations in the scenery with guelta's, plants, animals and beautiful rock formations. Also my idea about a terrible heat, seemed wrong. In the area where Tuareg live (because of the high plateaus) it can be cold. This area is very suitable for travelling. The Tuareg have a matriarchal culture. Woman make music, develop the language, can write and tell stories about the old days. They make leather bags and I am very impressed by the decoration of the beautiful geometric patterns they make on it. 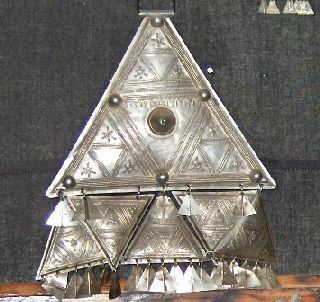 These geometric decorations are also used by the Inaden. These precious metal workers clan uses them on jewellery. At a moment I met an archaeologist from Djanet. I was able to ask him many questions and by doing this I got impressed by the rockpaintings in the National Parks of the Hoggar and the Tassili N'Ajjer. A very big open-air museum you could say. In 2005 I stayed almost three months in South-Algeria. I visited encampments in the Hoggar area. 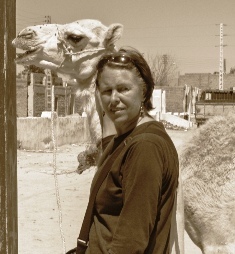 During this period I made many friends and worked at painting projects in Tammanrasset. (They made a documentary film about it). I also visited a congres in cooperation with Unesco, the theme was "Sauver L'Imzad". 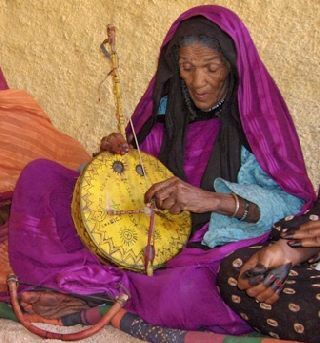 The imzad is a musical instrument only played by women. 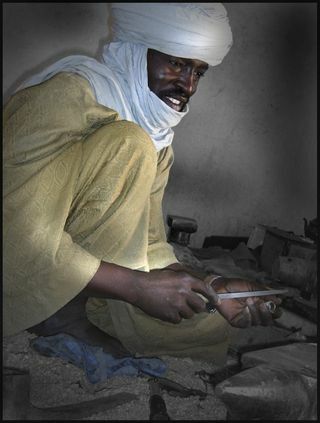 The congress was about saving the Tuareg culture. After that I visited a festival in Djanet. 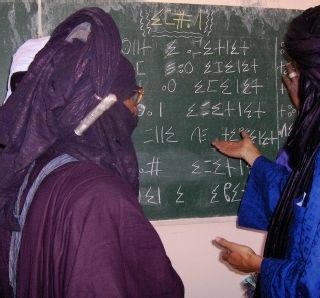 I also visited a school where they teach "Tifinagh" the written language of the Tuareg. At the congress I met people of the Kel-Rhela clan in the Hoggar mountains and learned about their culture and way of life. 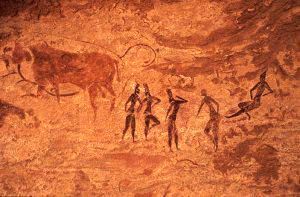 I cooperate now with a travel agency in Tamanrasset before I guided culture tours in Greece and organized paintingworkshops in Spain.